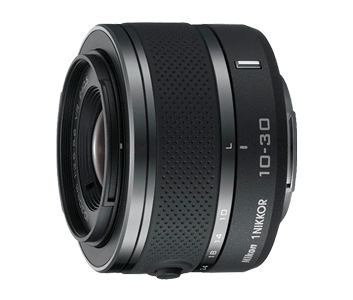 We have recently confirmed the issue described below with the 1 NIKKOR VR 10-30mm f/3.5-5.6 lens for advanced cameras with interchangeable lenses. Please be advised of the details of this issue and its countermeasures. Nikon will provide free inspection and service to address this issue as indicated below. When the 1 NIKKOR VR 10-30mm f/3.5-5.6 lens is used for an extended period of time, or zoom operations are frequently repeated, proper communication with the camera may not occur, which may cause an error message to be displayed in the camera monitor, and the lens may not function properly. Lenses for which countermeasures to resolve this issue have already been applied may be identified by the black dot indicated below. 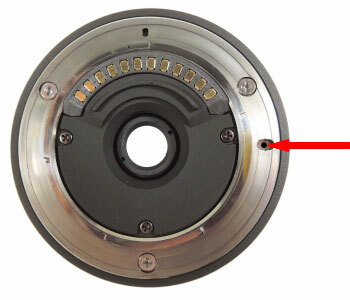 Nikon service centers will inspect lenses and replace applicable components as needed, free of charge, and provide free shipping regardless of the status of the product warranty. If your lens was previously serviced by Nikon for this issue and you were charged for it by Nikon, please contact Nikon Customer Relations Department as instructed below. Nikon will notify you by email when your 1 NIKKOR VR 10-30mm f/3.5-5.6 Lens has been received at the repair center and upon completion of this service. Lenses will be return shipped free of charge via UPS Ground.